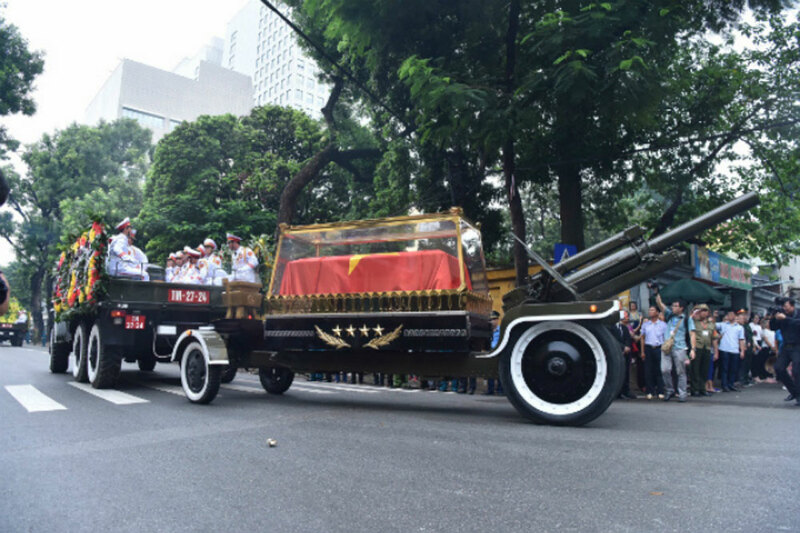 Vietnam said goodbye to departed President Tran Dai Quang on Thursday, after a memorial service held in Hanoi. 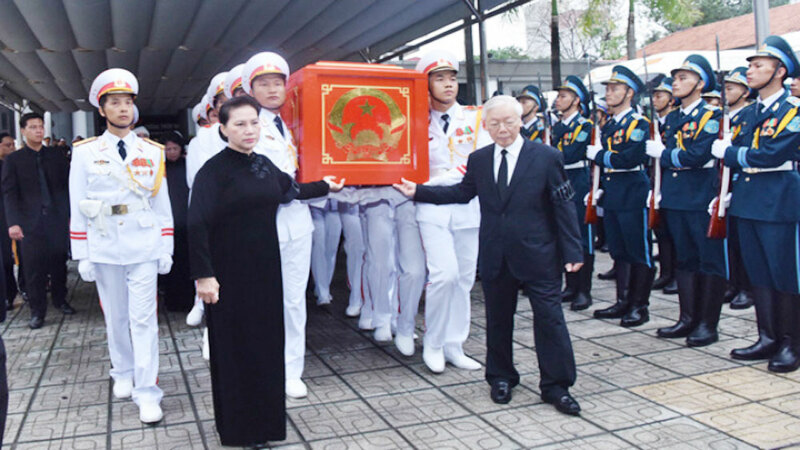 Vietnam's Party General Secretary Nguyen Phu Trong started the memorial service at the National Funeral Home in Hanoi by delivering an eulogy, reviewing all contributions Quang has made for the country. 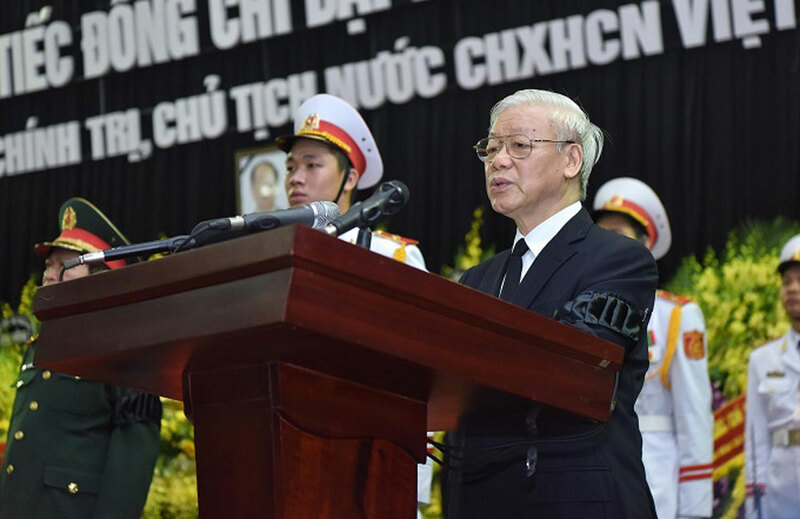 Quang, who served as Vietnam's Minister of Public Security before becoming president in April 2016, passed away on September 21 after battling a serious illness for more than a year. 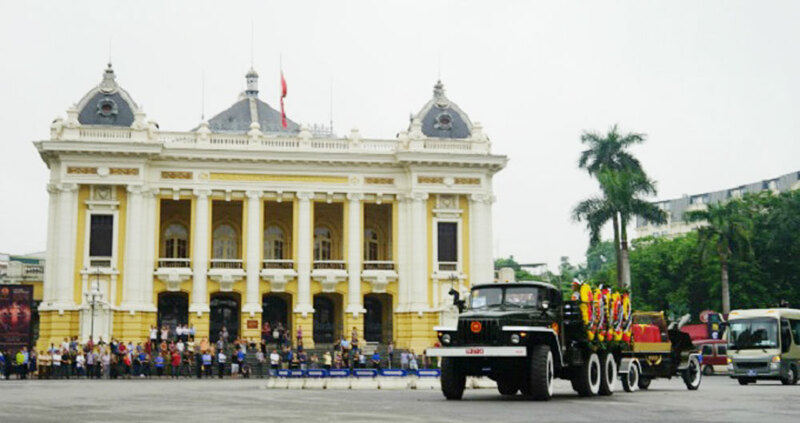 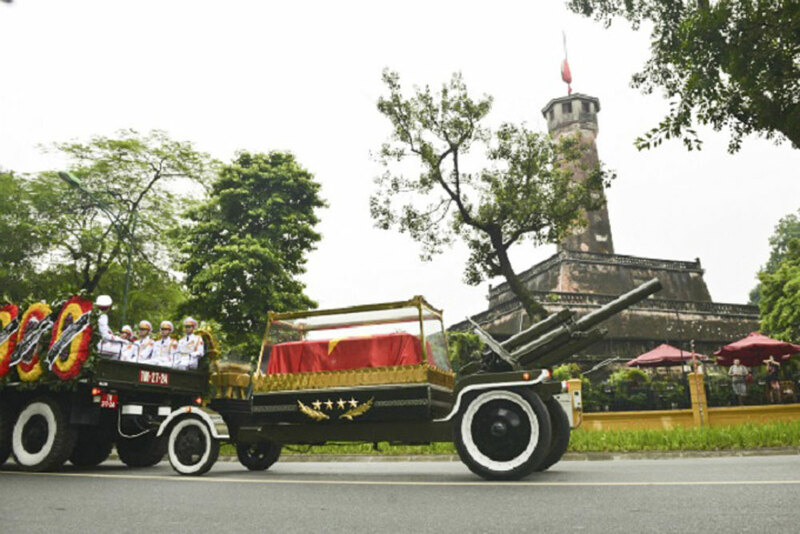 President Quang's flag-draped coffin will be carried around Hanoi before he is buried in his hometown in Kim Son District of Ninh Binh Province, two hours south of Hanoi, at 3:30 p.m. Thursday. 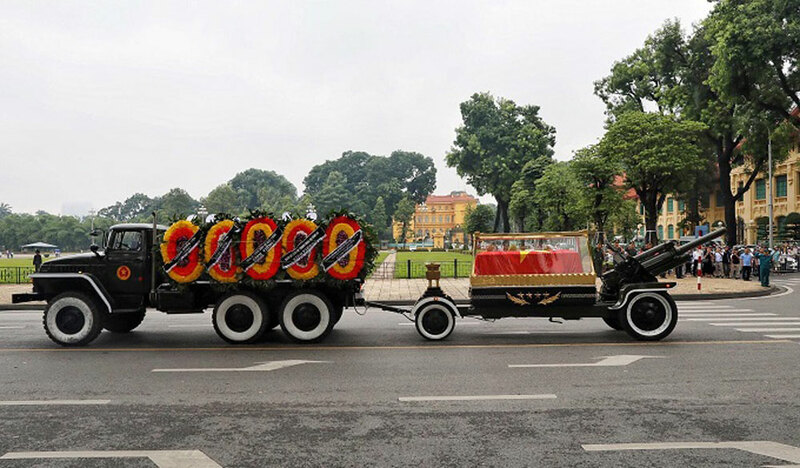 The coffin is paraded past Hanoi's Opera House.